Corresponding author at: Brazilian Foundation for Sustainable Development, Rio de Janeiro, Brazil. Table 1. Description of land use and land cover classes. New remote sensing data on vegetation cover and restoration opportunities bring hope to the Brazilian Atlantic Forest, one of the hottest of the 36 global biodiversity hotspots. Available estimates of remaining vegetation cover in the biome currently range from 11% to 16%. However, our new land-cover map, prepared at the highest resolution ever (5m), reveals a current vegetation cover of 28%, or 32 million hectares (Mha) of native vegetation. Simultaneously, we found 7.2Mha of degraded riparian areas, of which 5.2Mha at least must be restored before 2038 by landowners for legislation compliance. Restoring the existing legal debt could increase native vegetation cover in the Atlantic Forest up to 35%. Such effort, if well planned and implemented, could reduce extinction processes by increasing connectivity of vegetation remnants and rising total native cover to above the critical biodiversity threshold established for different taxonomic groups. If undertaken, this process can be adaptive to climate change and boost sustainable development in this most populous biome in Brazil, turning it into a hopespot. Home to more than 125 million Brazilians, the domain of the Atlantic Forest biome is the economic engine of Brazil, contributes to 70% of the gross domestic product (GDP), 2/3 of the industrial economy, holds some of the largest urban centers in South America (e.g., São Paulo and Rio de Janeiro), and some of Brazil's most productive land (more than half of the national land dedicated to horticulture) (Joly et al., 2014; Martinelli and Moraes, 2013; Scarano and Ceotto, 2015). Urbanization, industrialization, and agricultural expansion led to economic growth, but also to a historic loss (Fonseca, 1985) and fragmentation of natural habitats, that turned the Atlantic Forest one of the ‘hottest’ biodiversity hotspots (Laurance, 2009; Zachos and Habel, 2011). A substantial portion of this biome is now an archipelago of small islands of vegetation embedded into a matrix of degraded areas, pasture, agriculture, forestry and urban areas (Joly et al., 2014). Despite all of this loss, the mosaic of remaining native forest and non-forest ecosystems that make up the Atlantic Forest is still home to 2420 vertebrates and 20,000 plant species, both with high levels of endemism (Mittermeier et al., 2011). However, 1544 plant species (Martinelli and Moraes, 2013) and 380 animal species (Paglia et al., 2008) are endangered, the equivalent to 60% of the entire lists of threatened species for both flora and fauna in Brazil. Current estimates of remaining vegetation cover of the Atlantic Forest in Brazil range from 11 to 16% (Ribeiro et al., 2009). Since 1985, the Brazilian Space Agency (INPE) and the NGO SOS Mata Atlântica have monitored the vegetation cover of the biome by using Landsat imagery with 30m resolution, with the latest maps being produced in a working scale of 1:50,000 (SOS Mata Atlântica and INPE, 2017). We have now analyzed the land use and land cover for the whole biome by using RapidEye imagery of the year 2013, with 5m resolution in the unprecedented working scale of 1:10,000. Furthermore, we mapped hydrology and riparian Areas of Permanent Preservation (APP), i.e. marginal strips along all waterbodies that must be covered by native vegetation according to the Brazilian Native Vegetation Protection Law (NVPL) (Brancalion et al., 2016; Brasil, 2012). This allowed us to estimate the amount of land within the Atlantic Forest that landowners need to restore in riparian areas, in order to comply with Brazilian legislation. For all mapping and spatial analysis, we considered the limits of the Atlantic Forest biome established by the Brazilian Ministry of Environment (MMA) and the Brazilian Institute for Geography and Statistics (IBGE). The biome extends over 112Mha distributed along a wide latitudinal gradient in the Brazilian coast, covering 15 out of the 27 Brazilian states. All spatial analyses for the biome were conducted in the Albers Equal Area Conic projection and the South America 1969 datum. We mapped land cover through supervised classification of RapidEye imagery level 3A (5m resolution, orthorectified) of the entire base year of 2013, comprising the classes described in Table 1. In total, we analyzed 2465 scenes with 625km2 each. The imagery dataset for the year 2013 had 0.5% average cloud cover according to the product metadata. Clouded areas were classified using imagery of the same satellites for the years 2014 and 2012, selected according to imagery quality and availability. Description of land use and land cover classes. III. Forestry Tree monocultures, predominantly Eucalyptus spp. and Pinus spp. FAO (2012) classes: FEP, primary evergreen forest; FEM, secondary mature evergreen forest; FDP, primary deciduous forest; FDM, secondary mature deciduous forest; FSP, primary semi-deciduous forest; FSM, secondary mature semi-deciduous forest; WS, shrubs; WG, wooded grassland; WW, wooded wetland; OG, natural grassland; OM, marsh. IBGE (2012) classes: D, dense ombrophilous forest; A, open ombrophilous forest; M, mixed ombrophilous forest; F, semideciduous seasonal forest; C, deciduous seasonal forest; Sd, forested savanna; Td, forested steppe savanna; Pma, arboreal vegetation with marine influence (arboreal restinga); Pfm, mangrove; Sa, arboreal savanna; Sp, park savanna; Sg, woody grassy savanna; Ta, arboreal steppe savanna; Tp, park stepped savanna; Tg, woody grassy steppe savanna; E, steppe; Pmb, shrubby vegetation with marine influence (shrubby restinga); Pmh, herbaceous vegetation with marine influence (herbaceous restinga); Pfh, herbaceous vegetation with fluvial-marine influence; Pa, vegetation with fluvial and/or lacustrine influence. As pre-processing procedures, atmospheric correction was performed by the images supplier by calculating the top of atmosphere (TOA) reflectance, and, in addition, we processed the histogram equalization to improve the visual quality of the images and facilitate the acquisition of the training samples. All mapping process was performed individually scene by scene, from samples collection to validation. This was important to avoid classification errors due to differences in reflectance patterns between scenes, as our dataset comprised images taken across all seasons. First, we performed maximum likelihood classification, generating land use and land cover matrices with 5m/pixel resolution. Then, we converted matrices to vectors and performed vector checking and editing in the scale of 1:10,000, in order to correct classification errors. Holes smaller than 0.1ha inside polygons were filled using a vector intersection model. Areas of superposition created during vector editing were consolidated considering the following priority rank of classes (Table 1): VI, III, I, II, IV and V (highest to lowest). After the completion of the mapping per scene, the scenes were checked jointly by groups of municipalities of approximately 2.5Mha, to verify eventual problems of discontinuity between scenes. If identified, these problems were edited in the working scale of 1:10,000. We performed the accuracy assessment through 1970 random points, distributed per class by proportional allocation. Sample design and data analysis were performed in R according to the methodology proposed by Olofsson et al. (2014) and ratified by FAO (2016), using SEPAL's scripts (SEPAL, 2017). Sample collection was performed with Collect Earth, using high-resolution satellite imagery from public datasets (Google Earth and Bing Maps) (Fig. S1, Table S1). We estimated the amount of native vegetation inside protected areas by intersecting the land use matrix and the official database on protected areas of the Ministry of Environment (MMA, 2017). We conducted a survey of the official cartographic basis available in the best scale for each region of the Atlantic Forest, and adapted them using the RapidEye images as base for vectorization, at a visualization scale of 1:10,000. We also generated contours from the SRTM Digital Elevation Model (30m/pixel) and used them as a secondary reference base. Editing comprised four situations: (i) rivers over 10m wide represented as lines in official databases were digitized as polygons to allow measurement of rivers’ width; (ii) rivers’ courses were refined; (iii) new water dams were included or redrawn; and (iv) data gaps in official databases were filled. We mapped riparian APP according to the marginal strip width values stipulated in articles 4 and 5 of the NVPL (Fig. S2). Absolute vegetation debt was calculated as the sum of the areas occupied by land use classes III, IV and V inside riparian APP, and relative vegetation debt corresponds to the absolute debt divided by the total area of APP. We incorporated the differential contribution of small landowners established by NVPL's article 61-A, by applying a reduction rate of 27% to the total vegetation debt. This rate was estimated for the Atlantic Forest by Guidotti et al. (2017), based in a compilation of datasets on property limits overlaid according to a data reliability score. We found a total of 28% of native vegetation cover for the Atlantic Forest biome in 2013, including both forest (26%) and non-forest native formations (2%) (Fig. 1, Table 1). Thus, the amount of mapped native vegetation comes out as more than double the average of current estimates (Ribeiro et al., 2009). The mapping effort also revealed that 2% of the biome surface is covered by water, 2% by built areas, 3% by forestry and 65% by anthropic areas. Land use and land cover in the Atlantic Forest biome, Brazil. Native vegetation covers 28% of the biome area (26% by forests and 2% by non-forest vegetation), 2% is covered by water, 2% by built-up areas, 3% by forestry and 65% by other anthropic areas. Classes are described in Table 1. Only 30% of the total vegetation cover is located inside protected areas, of which 9% are strictly protected (IUCN Categories I-IV) and 21% of sustainable use (IUCN Categories V and VI). The remaining 70% vegetation cover is protected by other effective area-based conservation measures stipulated by the Brazilian Law (Brasil, 2012, 2006), which may allow intervention and deforestation in specific situations. Our mapping effort identified 2,044,746km of rivers, three times the extension mapped by the Brazilian Continuous Cartography (IBGE, 2013), and five times the hydrographic base compiled by the National Water Agency (ANA, 2013). It also reveals that there is a legal debt of 7,175,074ha of Atlantic Forest vegetation in riparian areas (Fig. 2), which can be reduced to 5,237,804ha considering the differential contribution of small landowners, as established by the NVPL. Even with this discount, our estimate of legal vegetation debt is still 1.3–3.7 times higher than current estimates (Guidotti et al., 2017; Soares-Filho et al., 2014). Vegetation debt in riparian areas per municipality in the Atlantic Forest biome, Brazil. Color scale shows the percentage of riparian areas of each municipality that must be restored in order to comply with the Brazilian Law. In a legal compliance scenario, native vegetation cover would reach 33–35% of the original domain, crossing the threshold of 30% of landscape cover established for the persistence of different taxonomic groups in the biome (Banks-Leite et al., 2014; Lima and Mariano-Neto, 2014). Out of 2068 municipalities of the Atlantic Forest biome, 495 would positively cross the vegetation cover threshold of 30%, leading to a scenario with half of the biome area above this limit (Fig. 3). Vegetation cover per municipality in the Atlantic Forest biome, Brazil. Color scale shows the percentage of native vegetation cover per municipality. Municipalities highlighted in dashed yellow will reach the cover class represented in the map after the restoration of their vegetation debt in riparian areas. In total, 495 out of 2068 municipalities would positively cross the vegetation cover threshold of 30%, leading to a scenario with half of the biome area above this limit. The amount of native vegetation mapped by this study comes out as more than double the average of current estimates. This pattern emerges as a result of the automated fragment detection and the use of higher resolution of satellite imagery, which provided the means necessary to: (1) identify fragments that were previously not mapped and (2) detect larger areas of secondary forest cover (see Supplementary Material for more information on map comparison). Indeed, previous mapping efforts in specific regions of the Atlantic Forest have also detected larger areas of native cover as compared to the SOS Mata Atlântica & INPE data (INEA, 2011; IPE, 2017; Rezende et al., 2015; Vibrans et al., 2013), but this is the first study to confirm this pattern to the whole biome. However, even with the positive perspective of having more Atlantic Forest than previously estimated, this biome remains as a biodiversity hotspot and thus highly threatened. By definition, biodiversity hotspots have lost 70% or more of its primary vegetation (Myers et al., 2000), and it is most likely that this 28% of mapped vegetation cover consists mainly of edge-affected or secondary vegetation disconnected from larger fragments (Arroyo-Rodríguez et al., 2015). As for protection status, most part of the native vegetation cover is located outside conservation units, and may suffer intervention in cases of public interest and social utility, stipulated according to the Brazilian law (Brasil, 2006, 2012). Restoring the riparian areas is essential to ensure water and consequently energy security in Brazil, since they provide key ecosystem services such as water flow regulation and soil fixation (Brancalion et al., 2016). The mapped vegetation debt corresponds to 40–60% of Brazil's commitment to restore 12Mha in the Paris Agreement of the Climate Convention (Brasil, 2015). Moreover, it represents an important input to the Atlantic Forest Restoration Pact (Melo et al., 2013), a multisectoral initiative engaging more than 200 institutions that was launched in 2009 to restore 15Mha of Atlantic Forest by 2050. Achieving legal compliance for riparian areas would push overall native vegetation cover to above the extinction threshold of 30%. However, due to the uneven distribution of vegetation cover, not all sub-regions/landscapes of the Atlantic Forest will move beyond this limit, meaning that they will require complementary restoration initiatives (Fig. 3) in order to achieve the minimum necessary conditions for the maintenance of biodiversity. Besides the riparian areas, the NVPL also establishes another important mechanism for biodiversity conservation: the legal reserves. Those areas correspond to a portion of the land of each rural property that must be conserved and eventually restored, representing an important opportunity for areas with low vegetation cover. However, the implementation of this instrument is still being regulated by the Brazilian government, which is now defining the rules for offsetting vegetation debts of legal reserves. Therefore, the magnitude of the restoration opportunities created by this mechanism relies on how it will be regulated. The quality of the restoration efforts to be undertaken are also essential to define whether compliance could represent a significant step for this biome, considering the spatial variation of the potential for natural regeneration and, consequently, the levels of intervention required by each locality. There is increasing evidence of biotic homogenization, defaunation and secondarization of the Atlantic Forest at multiple spatial scales as consequences of habitat loss and fragmentation (Joly et al., 2014), and eventual species reintroduction programs will be necessary in these new forest habitats. Timing is also an important factor, considering the urgency to avoid the payment of extinction debts. As a result, how riparian areas will be restored, how fast this will occur, and the existence of complementary restoration initiatives in regions with lower vegetation cover, will definitely matter for the future of this biome. Current efforts in forest restoration (Rodrigues et al., 2011) and refaunation (Galetti et al., 2017) are inspiring examples. Careful planning and execution of such restoration activities will provide the necessary corridors to link disconnected fragments and reduce ongoing extinction processes (Lees and Peres, 2008). In a future scenario of habitat modification due to climate change, those corridors will also play an important role in allowing species displacement. The existence of vegetation debt in a given locality, as well as its capacity to implement restoration actions, are usually related to local socioeconomic conditions. Many of the municipalities with high vegetation debt also present high poverty rates and/or low HDI, such as those in northern portion of the state of Rio de Janeiro (Rezende et al., 2018), or those in the Rio Doce valley (Pires et al., 2017). In such cases, economic incentives must be implemented in order to foster local restoration-based economies. The injection of resources through mechanisms like payment for ecosystem services, for example, could strengthen the economic chain of restoration in degraded municipalities – from the production and commercialization of inputs to the execution of restoration in the field – stimulating job generation and boosting the local economy, while restoring the vegetation (Rezende et al., 2018). Likewise, conservation measures, especially the Atlantic Forest Law – a zero deforestation policy for the biome launched in 2006 – and actions to combat widespread illegal hunting and invasive species, must also be enforced and incentivized. For instance, despite the existence of these laws, there was a total loss of at least 156,156ha due to deforestation in the period 2008–2017 (SOS Mata Atlântica and INPE, 2017). The urgency to avoid, reverse and/or adapt to ongoing trends of climate change, biodiversity loss, food and water insecurity, and social injustice and inequality demands real-life models. In the past 20 years, various stakeholders such as scientists, governments, and social movements, have been trying to understand the scale of the problem and to address it. Biodiversity hotspots were pinpointed and this rationale became a powerful tool for conservation priority setting worldwide. However, within this same timespan, science and society have realized that natural and human systems are inherently coupled, and that solutions must be integrated. Despite the current economic and political instability in Brazil, the results presented on this paper give us reason to indicate that there is a great opportunity for the Atlantic Forest to go beyond biodiversity hotspot status and become a hopespot: a history of degradation and loss potentially turned into a sustainable future (Scarano and Ceotto, 2015). Indeed, our results demonstrate that there is twice as much Atlantic Forest cover than previously thought, as well as a large potential for natural regeneration and a wealth of conservation and restoration policies in place (Scarano and Ceotto, 2015). If appropriately designed, incentivized and enforced, these can drastically reduce deforestation, reverse the hotspot trend, mitigate water and food insecurity, improve livelihoods and promote ecosystem-based adaptation to climate change. Furthermore, the success of such an integrative approach in this top priority region could possibly pave the way for other hotspots to become hopespots as well. Spatial data that support the findings of this study are available for public download at http://geo.fbds.org.br/. Further information is available from the corresponding author upon request. We thank the Brazilian Foundation for Sustainable Development (FBDS) and its GIS teams in Rio de Janeiro and Campinas: L.S. Barbosa; J.C. Sessa; G.V.P. Souza; J.S. Fraga; G.D.M.B. Gomes; M.B. Mantel; G.F. Borges; B.M.O. Medina; F.L. Bonafini; G.D. Santos; D.V.S. Costa; A.G. Amaral; L.B. Souza; L.G. Fernandes; M.C.F. Peixoto; M.C. Barbosa; C.L. Cavelani; D.P. Diniz; M.C. de Jesus; R.F. Luna; L.C.C. Machado; V.S. Pugliero and M.R. Zanetti. Eight private sector federations and entities sponsored this mapping project (FEBRABAN, IBA, ABAG, Agroícone, FENASEG, IAB, SRB, and UNICA). The analysis conducted in this paper integrates C. L. R doctoral research, supported by the Brazilian Coordination for the Improvement of Higher Education Personnel. V. Arroyo-Rodríguez, F.P.L. Melo, M. Martínez-Ramos, F. Bongers, R.L. Chazdon, J.A. Meave, N. Norden, B.A. Santos, I.R. Leal, M. Tabarelli. Multiple successional pathways in human-modified tropical landscapes: new insights from forest succession, forest fragmentation and landscape ecology research. P.H.S. Brancalion, L.C. Garcia, R. Loyola, R.R. Rodrigues, V.D. Pillar, T.M. Lewinsohn. 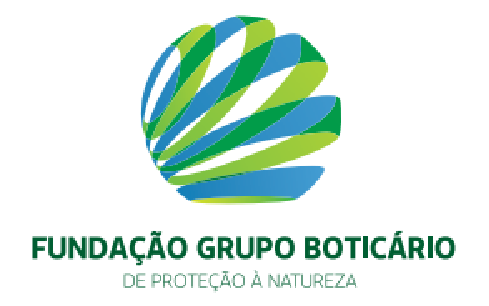 A critical analysis of the Native Vegetation Protection Law of Brazil (2012): updates and ongoing initiatives. Nationally Determined Contribution towards Achieving the Objective of the United Nations Framework Convention on Climate Change. Lei de Proteção da Vegetação Nativa. Map Accuracy Assessment and Area Estimation: A Practical Guide. Manual for Integrated Field Data Collection. National Forest Monitoring and Assessment. The vanishing Brazilian Atlantic forest. M. Galetti, A.S. Pires, P.H.S. Brancalion, F.A.S. Fernandez. Reversing defaunation by trophic rewilding in empty forests. V. Guidotti, F.L.M. Freitas, G. Sparovek, L.F.G. Pinto, C. Hamamura, T. Carvalho, F. Cerignoni. Números detalhados do Novo Código Florestal e suas implicações para os PRAs. Base Cartográfica Contínua do Brasil na escala 1:250.000. Manual Técnico da Vegetação Brasileira. Manuais Técnicos em Geociências. O estado do ambiente: indicadores ambientais do Rio de Janeiro. Atlas dos serviços ambientais do sistema Cantareira. Conserving the hottest of the hotspots. Conservation value of remnant riparian forest corridors of varying quality for Amazonian birds and mammals. Extinction thresholds for Sapotaceae due to forest cover in Atlantic Forest landscapes. Livro vermelho da flora do Brasil. F.P.L. Melo, S.R.R. Pinto, P.H.S. Brancalion, P.S. Castro, R.R. Rodrigues, J. Aronson, M. Tabarelli. Priority setting for scaling-up tropical forest restoration projects: early lessons from the Atlantic Forest Restoration Pact. R.A. Mittermeier, W.R. Turner, F.W. Larsen, T.M. Brooks, C. Gascon. Global biodiversity conservation: the critical role of hotspots. Cadastro Nacional de Unidades de Conservação (CNUC). N. Myers, R.A. Mittermeier, C.G. Mittermeier, G.A.B. da Fonseca, J. Kent. P. Olofsson, G.M. Foody, M. Herold, S.V. Stehman, C.E. Woodcock, M.A. Wulder. Good practices for estimating area and assessing accuracy of land change. A.P. Paglia, G.A.B. da Fonseca, J.M.C. da Silva. A Fauna Brasileira Ameaçada de Extinção: síntese taxonômica e geográfica. A.P.F. Pires, C.L. Rezende, E.D. Assad, R. Loyola, F.R. Scarano. Forest restoration can increase the Rio Doce watershed resilience. C.L. Rezende, J.S. Fraga, J.C. Sessa, G.V.P. de Souza, E.D. Assad, F.R. Scarano. Land use policy as a driver for climate change adaptation: a case in the domain of the Brazilian Atlantic forest. C.L. Rezende, A. Uezu, F.R. Scarano, D.S.D. Araujo. Atlantic Forest spontaneous regeneration at landscape scale. M. Ribeiro, J.P. Metzger, A.C. Martensen, F.J. Ponzoni, M.M. Hirota. R.R. Rodrigues, S. Gandolfi, A.G. Nave, J. Aronson, T.E. Barreto, C.Y. Vidal, P.H.S. Brancalion. Large-scale ecological restoration of high-diversity tropical forests in SE Brazil. Brazilian Atlantic forest: impact, vulnerability, and adaptation to climate change. Stratified Sampling Tool for Area Estimation. B. Soares-Filho, R. Rajão, M. Macedo, A. Carneiro, W. Costa, M. Coe, H. Rodrigues, A. Alencar. Atlas dos remanescentes florestais da Mata Atlântica: período 2015-2016. A.C. Vibrans, R.E. McRoberts, P. Moser, A.L. Nicoletti. Using satellite image-based maps and ground inventory data to estimate the area of the remaining Atlantic forest in the Brazilian state of Santa Catarina. Biodiversity Hotspots: Distribution and Protection of Conservation Priority Areas.